The solar traffic light is mainly used at the intersection in urban transport system, helping achieve both energy conservation and easy traffic management. The intelligent traffic light realizes photovoltaic power supply, control signal wireless transmission, and remote control on traffic signal, completely dispensing the limitation of the power supply and the circuit, and improving the traffic management level. The development of the solar traffic light is conducive to energy conservation, emission reduction, renewable energy source demonstration base construction, and new energy resources technology construction, advocated by the state. It is the development tendency to promote the solar energy manufacturing and application in future. The solar powered traffic light utilizes high brightness LED as the light source. It is widely used as the traffic warning sign and the guiding sign to avoid road accident, by virtue of the high safety, easy installation, long lifespan, good reliability, and little cable corrosion. Currently, our product can be classified into three series, namely solar traffic light, solar yellow traffic warning light , and solar marker light. The HZX-01 series solar traffic light is widely used as the traffic warning sign and guiding sign. Controlled by dedicated controller, this product requires little manual operation for signal control. The lamp body and the lamp cover are made of stainless steel. Apart from the smooth surface and compact structure, this traffic light is characterized by easy installation. The transparent acrylic board for the lampshade has good strength. The entire solar traffic light is processed with hot galvanizing and powder coating technology. This range of product is available with both gel storage battery and maintenance-free lead-acid battery. The dedicated controller adopts intelligent charging and discharging control system with advanced light-operated and time-controlled technology. Employing original component, our traffic light is characterized by excellent overall performance, high light-electricity conversion rate, and long lifespan. Energy-saving and environment friendly, the traffic control system converts solar energy into electric energy directly with the employment of battery pack, constructing independent power supply system. As the names suggests, the product of HZX-02 series utilizes solar energy and dedicated controller to control the traffic signal. 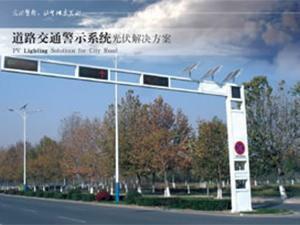 Requiring little manual operation, the automatic solar traffic light is mainly used for controlling the urban traffic. 1. The lamp body and the lamp cover are made of rolled steel with smooth surface and tight structure. 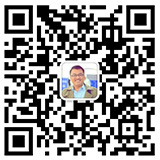 In addition, the installation of the product is quite easy. 2. Produced from transparent acrylic board, the lampshade has high strength. 3. The entire solar traffic light is processed with hot galvanizing and powder coating technology. 4. Employing original components, this product has optimal overall performance, high light-electricity conversion rate, and long lifespan. 5. The utilization of battery pack successfully converts the solar energy into electric energy, constructing independent, energy-saving, and environment friendly power supply system. 6. Both gel storage battery and maintenance-free lead-acid battery are adopted for power collection. 7. Specially developed for solar traffic light, the controller is engineered with intelligent charging and discharging control system with advanced light-operated and time-controlled technology. Powered by solar energy, the traffic light is designed with dedicated controller to regulate the traffic signal, realizing unmanned operation. It is extensively used in the urban traffic control system and guiding system. Produced from rolled steel, the light body and the light cover have smooth surface and compact structure. The easy installation brings more convenience to the users. For high strength, we use transparent acrylic board for the production of the lampshade. Processed with hot galvanizing and powder coating technology, the entire solar traffic light has stable performance and attractive appearance. The gel storage battery and maintenance-free lead-acid battery are used for power collection. The dedicated controller comes with intelligent charging and discharging control system. The advanced light-operated and time-controlled technology endow our product with optimal control performance. The employment of the original components is conducive to the optimal overall performance, high light-electricity conversion rate, and long service life. The solar energy is converted into electric energy through the utilization of the battery pack, forming independent power supply system. Currently, the solar traffic light is becoming increasingly popular. It is powered by solar energy and controlled by dedicated controller for unmanned operation. This product is widely used in cities and countryside for traffic control and traffic guidance. 1. Produced from rolled steel, the lamp body and the lamp cover have smooth appearance and compact structure. 2. The lampshade is made of transparent acrylic board with high strength. 3. Processed with hot galvanizing and powder coating technology, the solar traffic light has optimal overall performance. 4. The original components endow the product with excellent light-electricity conversion rate and long lifespan. 5. Through the utilization of battery pack, the solar energy is converted into electric energy directly, constructing independent power system. 6. This range of product is supplied with gel storage battery and maintenance-free lead-acid battery. 7. The special controller with advanced light-operated and time-controlled technology for solar traffic light helps realize intelligent charging and discharging control. Widely used for traffic control and traffic guidance, our solar traffic light plays an important role in the urban traffic control system. This product is completely powered by solar energy and controlled by the dedicated controller, requiring little manual operation. In addition, it has the following features. 1. The light body and the light cover are manufactured from rolled steel. The smooth surface, compact structure, and the easy installation make this product quite popular. 2. The transparent acrylic board is conducive to the optimal strength of the lampshade. 3. Hot galvanizing and powder coating technology are utilized during production. 4. Thanks to the original components, this solar traffic light has outstanding overall performance, high light-electricity conversion rate, and extended lifespan. 5. A battery pack is employed to convert the solar energy into electric energy directly. The independent power supply system is energy-saving and environment friendly. 6. This product is installed with gel storage battery and maintenance-free lead-acid battery. 7. For intelligent control on charging and discharging, this solar traffic light employs dedicated controller with advanced light-operated and time-controlled technology. The HZX-06 series solar traffic light is widely used in the urban traffic system. It is controlled by dedicated controller, realizing unmanned operation. 1. The lamp body and the lamp cover are made of rolled steel. The smooth surface, compact structure, and the easy installation make this product quite popular. 2. Employing transparent acrylic board, the lampshade has high strength. 3. The entire solar traffic light is processed with hot galvanizing technology and powder coating technology. 4. The utilization of original components makes for excellent overall performance, high light-electricity conversion rate, and extended lifespan. 5. Energy-saving and environment friendly, the independent power supply system is obtained through the employment of the battery pack, converting solar energy into electric energy directly. 6. Our solar traffic light is installed with gel storage battery and maintenance-free lead-acid battery. 7. The intelligent charging and discharging control system is designed with advanced light-operated and time-controlled technology. Widely seen in the urban traffic system, this range of solar traffic light supports unmanned operation. It is fully powered by solar energy and uses dedicated controller to regulate the traffic signal. The lamp body and the lamp cover are produced from rolled steel. Apart from the smooth surface and compact structure, this product is quite easy for installation. For high strength, the lampshade adopts transparent acrylic board. In addition, the entire solar traffic light is processed with hot galvanizing and powder coating technology. The original components adopted are purchased from the well-known supplier, ensuring high light-electricity conversion rate, optimal overall performance, and long lifespan. The solar traffic light is provided with gel storage battery and maintenance-free lead-acid battery. The battery pack directly converts the solar energy into electric energy, constructing independent, energy-saving, and environment friendly power supply system. The dedicated controller adopts intelligent charging and discharging control system. The advanced light-operated and time-controlled technology help realize unmanned operation. As the names implies, the solar traffic light is generally used in the urban traffic system for traffic control and traffic guidance. 1. Completely powered by solar energy and controlled by dedicated controller, this product requires little manual operation. 2. Made of rolled steel, the lamp body and the lamp cover are characterized by smooth surface, compact structure, and easy operation. 3. The lampshade, which is produced from acrylic board, has high strength. 4. The entire solar traffic light is processed with hot galvanizing and powder coating technology. 5. The original components are conducive to the outstanding overall performance, high light-electricity conversion rate, and long lifespan. 6. With the utilization of battery pack, the solar energy is converted into electric energy directly, constructing independent power supply system. 7. This range of solar traffic light is installed with gel storage battery and maintenance-free lead-acid battery. 8. The advanced light-operated and time-controlled technology makes for outstanding performance of the charging and discharging control system.